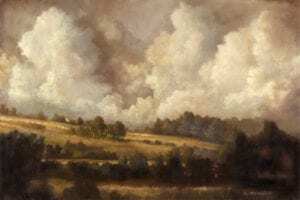 This course series examines landscape painting in oil and will include demonstrating various painting techniques, exploring mediums, glazing, cold wax medium, etc. with the intent to push your individual styles and take you to that next level as an artist. Group critiques and one-on-one discussions with each artist are included. Intermediate to advanced oil painting experience required. (To understand your painting level, feel free to contact McCampbell.) Rachael leads painting workshops in the US and Abroad. Her work is collected both nationally and internationally. For more information or to register, email rachael: rachael@rachaelmccampbell.com or call her studio: 310-569-8040. 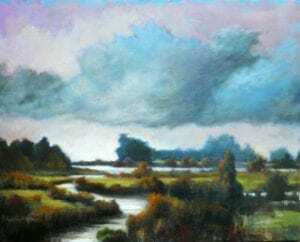 This workshop examines landscape painting in both acrylics and oil with a particular focus on the atmospheric landscape and how to create “mood” with color, mediums, brushes/tools, composition etc. All skill levels are welcome but some painting experience is preferred. Rachael leads workshops in the US and abroad. Her work is collected both nationally and internationally. For more information and to register, email Rachael at rachael@rachaelmccampbell.com or call Rachael at 310-569-8040. 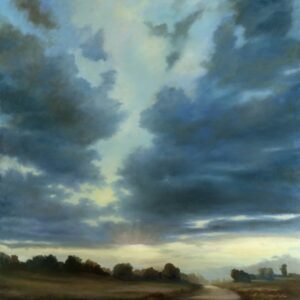 This class examines landscape painting in both acrylics and oil with a particular focus on the atmospheric landscape and how to create “mood” with color, brushstrokes and mediums. All skill levels welcome but some painting experience is preferred. 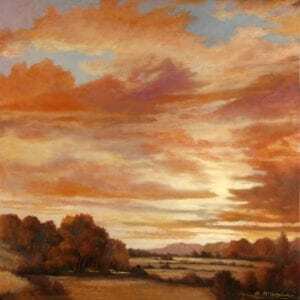 McCampbell leads painting workshops in the US and Abroad. Her work is collected internationally. Instructor: Rachael McCampbell, GOLDEN certified Art Educator and a Gamblin Art Instructor. Payment: Checks or cash only to McCampbell Art Studio LLC. 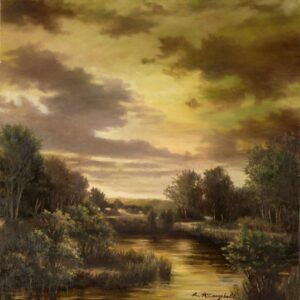 This class examines landscape painting in both acrylics and oil with a particular focus on the atmospheric landscape and how to create “mood” with color, brushstrokes and composition. All skill levels welcome but some painting experience is preferred. McCampbell takes groups to Europe to paint and teaches workshops in the US. Her work is collected internationally. This 2-day workshop will focus on painting a still-life in both GOLDEN acrylics and Gamblin Oils. 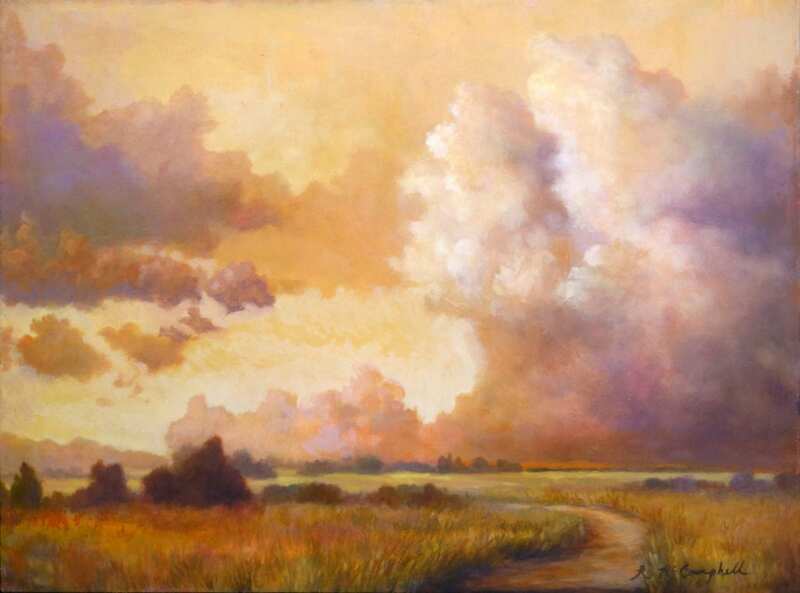 We will discuss composition, color mixing, volume/shading, brushwork/style, texture and more. A still-life will be set up and 8 x 10” color photos provided to paint from and take home. All levels and styles of painting are welcome. McCampbell will work with you at your own level. Bring a brown bag lunch and we will discuss everyone’s art during that time. For more information and to register go to rachaelmccampbell.com or call Rachael: 310-569-8040. Rachael McCampbell at “Hands On Creativity Day” at Plaza Art demonstrating for Gamblin Oils. 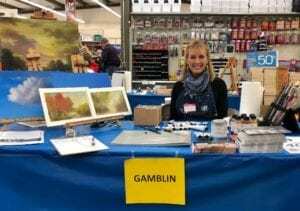 I will be working for Gamblin this weekend demonstrating their wonderful oil paints and supporting products. Please join me for this free event to see Gamblin’s products and much, much more! Over 35 tables of free demonstrations, Make It-Take It, free workshops, free samples, door prizes and more! A great way to try out all types of art mediums. Doors open at 8:45am each day! We will spend the day making small prints from Gel plates without a press using GOLDEN OPEN acrylics. Try these amazingly easy techniques to create fast, gorgeous results in acrylics that you can then easily do at home. You can create abstract paintings or representational. These monotypes work especially well to make atmospheric landscapes. The smaller format makes for excellent art gifts! Bring a brown bag lunch and we will discuss everyone’s art during that time. Register with Rachael McCampbell. 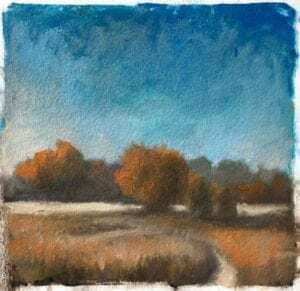 This class one-day workshop teaches you how to make small, gorgeous landscape paintings in acrylics using GOLDEN OPEN acrylics on soft gel plates. All levels are welcome but some painting experience is preferred. Students will need to bring paints, papers and some supplies. The smaller format makes for excellent art gifts! Bring a brown bag lunch and we will discuss everyone’s art during lunch time. For more information and to register go to Owl’s Hill Nature Sanctuary. Join me, October 14 – 20, 2018, in the gorgeous East Tennessee Mountains of Gatlinburg, TN, where I will be teaching a week-long course in atmospheric painting at The Arrowmont School of Art. In this workshop, students will learn to interpret the landscape through process of introspection, observation and application. By painting with acrylic and oil, you will create mood-driven art by layering, subtracting and adding molding pastes, gel mediums, cold wax medium and glazes. You will explore composition, structural elements of landscapes, color mixing, capturing light, principles of art and design along with a daily mixture of demonstrations, studio time and individual consultations. This is not a traditional plein-air course, but you will paint out-of-doors, weather permitting, and in the studio. This course is open to all skill levels however an understanding of color theory and basic painting skills is helpful. SOLD OUT!